Coolant Services at #4411 Pro Oil, 78 Caradoc St. S.
Replacing engine coolant prevents overheating and helps rejuvenate seals and prevents leaks. The Pro Oil Change located at 78 Caradoc St. S. can help replace your engine coolant during your next visit. Vehicle engines generate a significant amount of heat and must be equipped with a cooling system that regulates the engine temperature. It is important that the cooling system is designed so that the engine runs at an optimal temperature that is neither too hot or too cool. Antifreeze has the capability to raise the boiling point of the engine coolant in order to prevent it from overheating. Not to mention it can also protect your engine from corrosion, aid heat transfer and prevent scales from building up. Most manufacturers recommend that the coolant be changed every 3 years or 80.000 Kms. 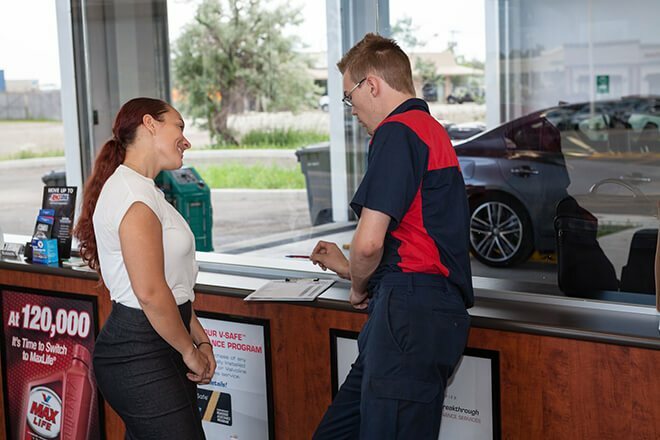 Your technicians at Pro Oil Change at 78 Caradoc St. S. can review your manufacturers recommendation for your specific vehicle.